Does your little niece or nephew tend to tattle on a sibling or friend when they witness a peer has caused harm? New research in Social Development published at Wiley finds that by age three, children will tell a caregiver like a parent, babysitter, or their favorite aunt, when they see a child harming another. While some may think these mini enforcers want to make sure they aren’t blamed for the preschooler infraction, the researchers found that even when children knew they would not be accused, they still told a caregiver about what had occurred. The reason? Little children want to manage and maintain social norms and make sure everyone is cooperating. While many children in the study had no issue speaking up even when the violation did not affect them directly, the researchers found that shy children were much less likely to speak up. Being sensitive to our shy nieces and nephews and their inclination to not say anything while being ready to listen if and when they are ready to share, may be a good way to build trust in their ConfidAunt. 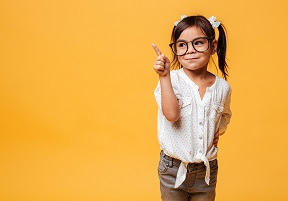 Home Expertise Why Your Little Niece or Nephew Is a Tattletale!